Blog Improving Curb Appeal	Is an Awning Window Right for My Home? Are hot steamy showers making your bathroom a sauna? Does the smell of last night’s fish dinner still swim around in your kitchen? 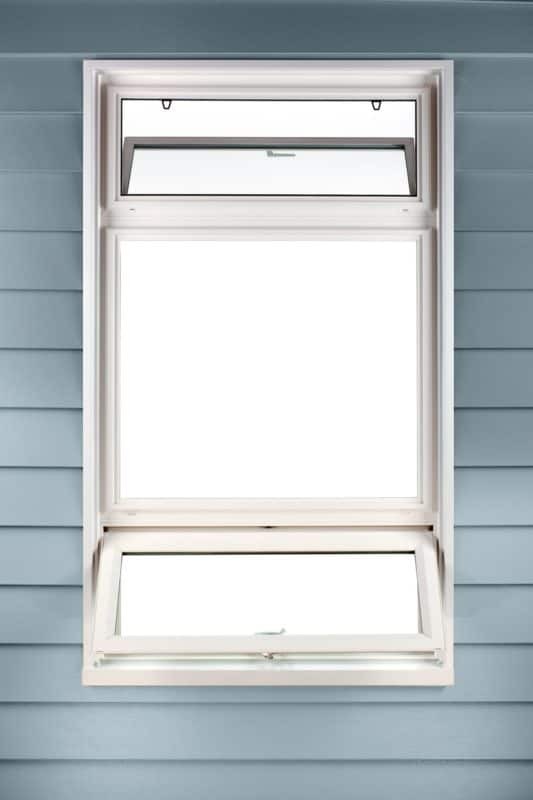 Awning windows can be the solution to keeping the air in your home fresh and clean. You can tell an awning window because of the way it opens. Awning windows are hinged on top so they open outward from the bottom. This design allows for excellent ventilation without obstructing views. They are made for openings where the width is greater than the height and are commonly opened using an awning window crank mechanism. 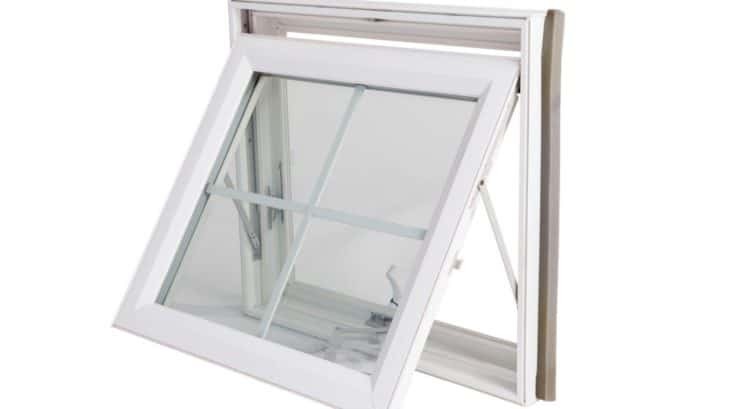 Where are awning windows best used in my home? The Bathroom: We are all guilty of taking that extra hot shower that steams up the bathroom. A bathroom awning window strategically placed helps improve the bathroom’s ventilation while retaining the privacy you need. The Living Room: There’s a lot of living that goes on in this room so it’s a great spot to add awning windows stacked above or underneath traditional double hung windows. The awning windows can be opened up to let in fresh air and the smell of that backyard garden even when it’s raining. The Bedroom: How nice is it to fall asleep to the sound of the summer rain and catch the cool breezes that come with it? Bedroom awning windows mean you can get nature’s sound machine to lull you to sleep without worrying about letting in that summer shower. The Basement: Just by their location basements are one of the least ventilated rooms of the house. That can be helped by installing an awning window. 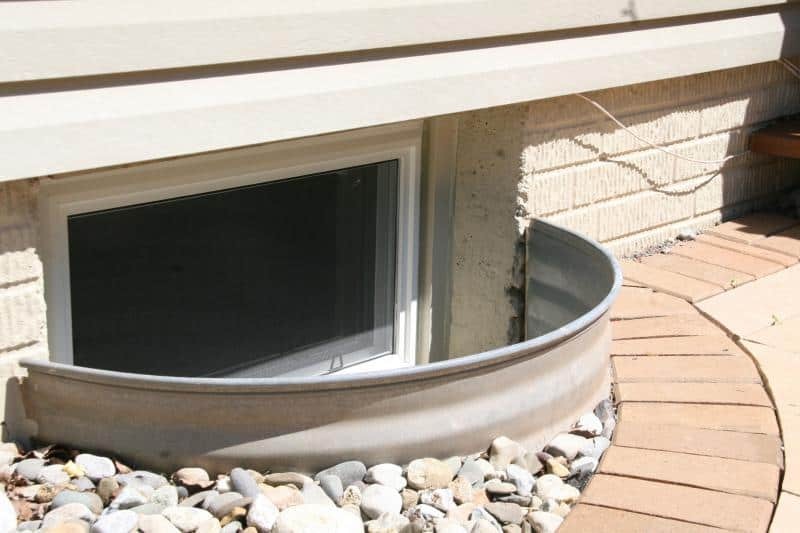 And, because basements can also be one of the darker rooms, basement awning windows can add much-needed natural light. Affordable awning windows can add style and charm while adding to a home’s value. Awning window advantages give a home a contemporary flair while at the same time helping keep your home cool and comfortable. Thompson Creek’s awning windows are constructed using the highest quality materials including the most energy efficient glass so they can stand the test of time and the elements. Our windows are beautiful, easy to operate, carry a Thompson Creek No-Hassle Warranty and Buyer Protection Guarantee that delivers a sustainable return on investment. Because at Thompson Creek we measure, manufacture and install all our windows, your awning window design isn’t limited by standard sizes. Give Thompson Creek at call at 888-696-7105 for a no-obligation quote today.